Car Rental Q&A: How Can Gamification Work for my Company? A: Gamification is not only intended for individuals motivated by money and recognition; it’s also intended to motivate those like your CSR. Let’s call her Jane. A potential way to get Jane involved would be to let her champion the game. She would be responsible to update the scoreboard each day and provide feedback from all of the participants. Whenever you create a game, you must take into consideration all of the motivational triggers (money, recognition, and accountability). That way, you can maximize the results and gain full engagement from your entire team. A: This is probably one of the most common misconceptions of gamification. The simple truth is gamification does not have to be expensive nor monetary. Winners can be awarded with things like priority parking spaces, extended lunch breaks, conference room “naptime,” or having their car washed at the end of a shift. 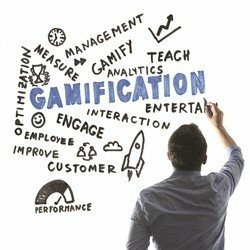 Additionally, gamification is not just limited to the counter. It could be used to improve car prep times, car cleanliness, car quality, etc. For example, if your car prep employee wins a game, the shift manager could wash the winner’s car that day. Be creative! A: Great question, Stephanie! We have found that by placing a high priority on the service and sales process rather than just the end result will keep the environment positive and engaged. Focus on the proper dialogues, customer service, and process instead of just the sale. It’s better to lose the sale the right way rather than gaining it the wrong way. Make sure that your team sees your ancillary program as an educational- and service-based program and then revenue will be a natural result. The key to remember is that high sales don’t always mean great customer service, but great customer service will always get great sales! A: When a game is poorly designed, you are absolutely correct, Todd. Contests that just reward the highest incremental yield will tend to have your same top performers (month-in and month-out) win. This is probably the No. 1 pitfall we find in the field in regards to the ineffectiveness of getting the entire team engaged when you conduct a game/contest. Based on his research, when you design a game, the following components must be present: 1. Give clear directions of the game; 2. Provide constant feedback (scorecard); 3. Remove potential distractions so employees can focus; 4. Provide an attainable but challenging goal. The most effective game gives employees a sense of control; they feel they have a direct impact on the results and the outcome. By easyrentpro|2016-07-13T18:14:24+00:00July 11th, 2016|Uncategorized|Comments Off on Car Rental Q&A: How Can Gamification Work for my Company?